It is notoriously difficult to get a taxi in San Francisco but suddenly, I don’t mind so much. 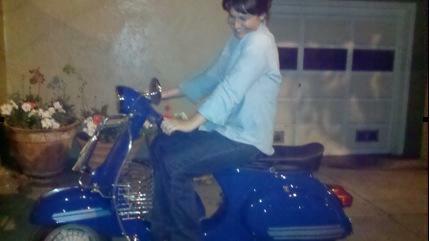 Behold my ‘new’ small frame Primavera Vespa, circa 197?, complete with reflective racing stripes. Watch out world! Vrrrrrmmmmm.